Home » Technology » Will The Rivian R1T Lead the Electric Truck Revolution? Will The Rivian R1T Lead the Electric Truck Revolution? Futurists have promised the electric vehicle (EV) revolution since the early 2000s. But today, EVs make up less than 1% of all cars in the U.S.
Toyota marked the first major milestone when it rolled out the Prius, a hybrid that offered to bridge the gap between gas and electric. In 2012, Tesla revved up the revolution with the Model S. The four-door model offered super-car speed with the comfort of a luxury sedan. All propelled by a lithium-ion battery. Following the success of the Model S, Tesla launched an SUV: the Model X. Hoping to strike at the hearts of the American populace, Tesla served up the Model 3 in 2016. The Model 3 is the base offering from Tesla. With prices north of $40,000, it’s still a cut above economy cars. But in Tesla’s quest for market share, it missed the most important segment — trucks. 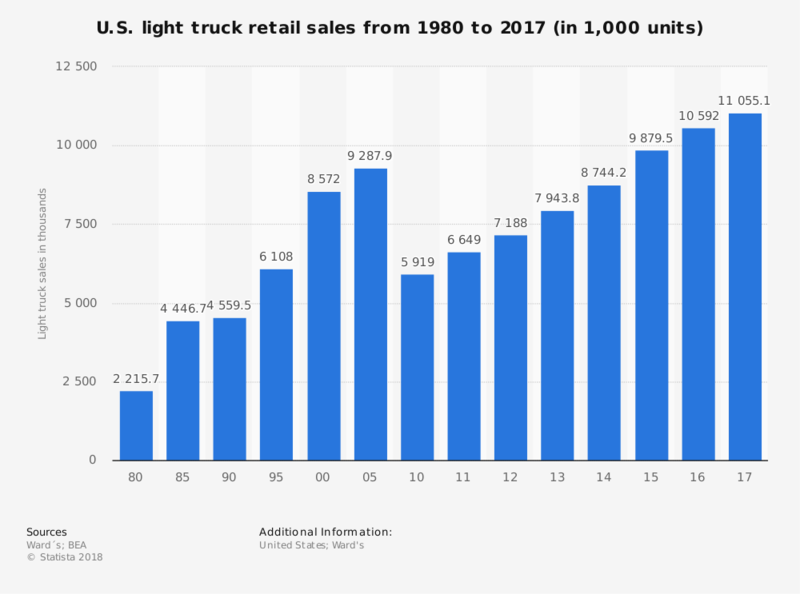 Americans have a love affair with trucks. Ford’s F-150 is America’s best-selling vehicle of all time. Ford has sold more than 32 million F-150s since its introduction in 1976. And it’s not just this half-ton model that’s dominating sales. The popularity of trucks is on a rip. Trucks, SUVs and vans now account for 64.5% of all vehicles sold in the U.S. Meanwhile, sedans have slipped 11.5% since 2016 to 35.5% of sales. That’s where Rivian steps in. The automaker, founded in 2009, is looking to spice up the EV world by offering the first electric truck. The R1T offers unmatched performance. With a zero-to-60 mph time of under three seconds and a towing capacity of 11,000 pounds, it can outrun and out-tow any F-150 model. The truck also offers a respectable 400-mile range on a full charge. While the release of the R1T isn’t until 2020, the threat of it may spur a change in automakers. General Motors and Ford are both retooling to meet demand in a shifting auto market. Ford is slashing cars from its lineup. Only the Mustang and Focus will remain among its vast truck and SUV offerings. GM plans on shutting five factories and cutting 14,000 jobs. That’s roughly 10% of its North American workforce. The auto giants are preparing for a new auto industry. One that will see both more trucks and EVs. At Real Wealth Strategist, we are keeping an eye on the shifting auto industry. EVs are still a number of years out before they become a major threat to gasoline-based autos.